With the recent news that Ford’s new Ranger Raptor will hit the roads of Australia in 2018, we thought we’d take a quick look at one of Australia’s top-selling utes. Second only to the Toyota HiLux in terms of sales, there seems to be plenty of good reason to invest in a Ranger regardless of the age-old Ford jokes. So what’s so special about it? Like most utes in Australia, there’s a decent choice of cabs on offer in the Ford Ranger lineup. Tradies might opt for the single cab for work or the super cab that gives you a bit more covered storage space for your tools and couple of crew members. If you need some more comfort for the family, then the double cab is available with plenty of leg room in the back. Ford offers only two engine options but depending on your needs both seem to check all the boxes. The TDCi diesel engines come in 2.2L and 3.2L, and both are fairly fuel efficient. Fuel economy runs anywhere from 10L/100km right down to 6.5L/100km depending on your choice of cab and engine. The 2.2L delivers 385Nm of Torque while with the 3.2L you get quite a bit more at 470Nm. Both engines offer 3,500kg of towing capacity so you’ll have no trouble getting that boat out of the water. Talk though is that the both these engines are on the way out when the new Raptor comes in 2018. However, Ford is remaining tight-lipped on news that there will be four engines choices next year. We’ll just have to wait and see. It’s a straightforward choice between a manual or automatic 6-speed transmissions. The automatic features driver recognition software that allows the transmission to adjust shift patterns according to your driving habits. And in the sports mode, you can take control at any time and manually shift gears. The manual transmission allows for Auto Stop/Start tech which helps with fuel economy by turning off the engine when you come to a stop. It’s worth noting that certain models in the range come with manual as standard so if you want automatic, you’ll have to fork out extra. Anyone who bought a Ranger prior to the latest interior update will no doubt be shaking their fists in a rage. While it’s commendable that Ford listened to the gripes of their customers and updated the seats and trims, it’s no use to those with older Rangers. Like many utes in its class, the interior of the Ranger is more like a car than a light commercial vehicle so you get all the usual comforts you might find in a Mondeo. New Rangers come with a laptop-sized glove box which is very handy while the SYNC 3 voice-activated system allows you to control all in-car media. There’s also improved connectivity for smartphones and other devices. 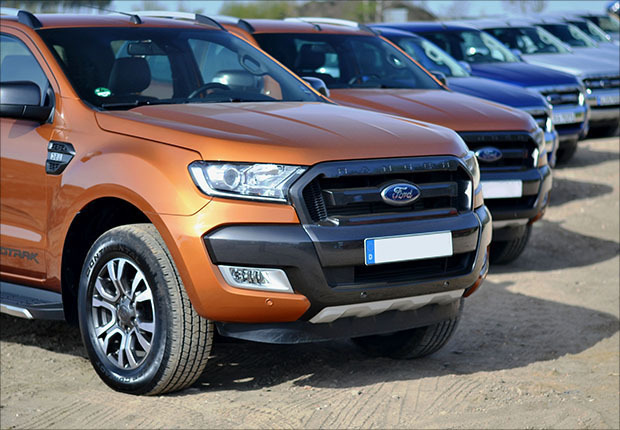 These days, safety is paramount in your car and Ford have gone the extra mile to make the Ranger one of the safest on the road. Emergency assistance integrated into the SYNC 3 that will alert emergencies services of your location should an airbag deploy, or your fuel pump shuts off. Seat side and curtain airbags. Roll-Over Mitigation cuts down the chances of rolling the ute. Speed and distance limiter on select models. Any ute on the Australian market simply has to come with a huge choice of accessories and the Ranger is no exception. And there’s quite literally a ton more besides. Check out the Ford website for more details. The 3 year/100,000km warranty is a standard now, and that’s exactly what Ford give you with the Ranger. Servicing intervals are set at 15,000km or twelve months with a service price promise agreed when you buy your ute. 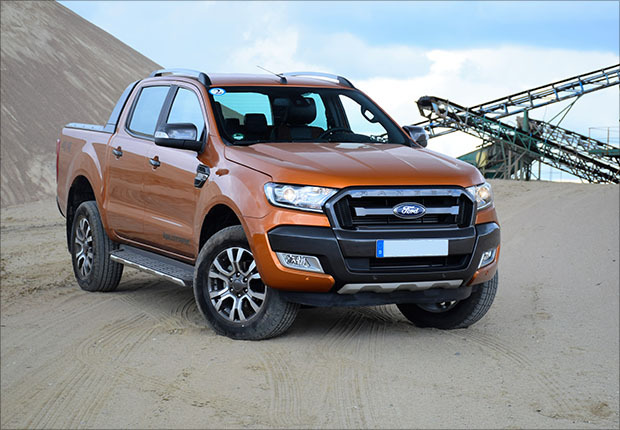 Ford also offers 5 years of perforation corrosion cover which means that if you spot a piece of rust anywhere on your Ranger, they’ll fix it for free. Prices for the Ford Range start at $27,930 and go right up to $61,115. Now, we’ll just point out that the cheapest Ranger is about $7,000 more expensive than the cheapest HiLux so you can probably guess why the HiLux is the top-seller. The fact that the Ranger is keeping pace with the cheaper Toyota says a lot about how good it is. Are you thinking about investing in a Ranger? Then why not let Stratton source the finance? We’ll do all of the legwork, so you don’t have to. We’ll find you the best finance package on the market for your new Ranger. Get in touch today, and we’ll get to work on getting you on the road as soon as possible.